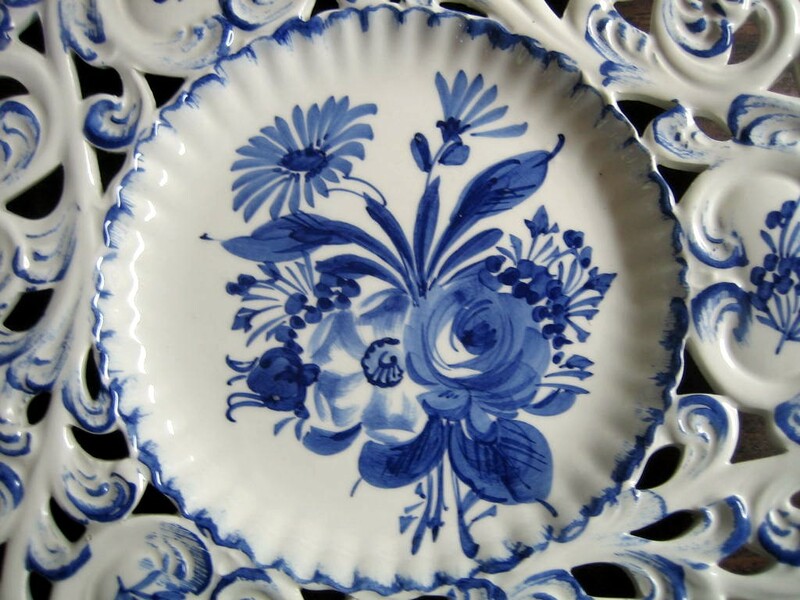 Click the button below to add the Blue on White Rose Daisy Scroll Hand Painted Pierced Italy Plate to your wish list. 8". Charming hand painted pierced Italian made decorative plate. 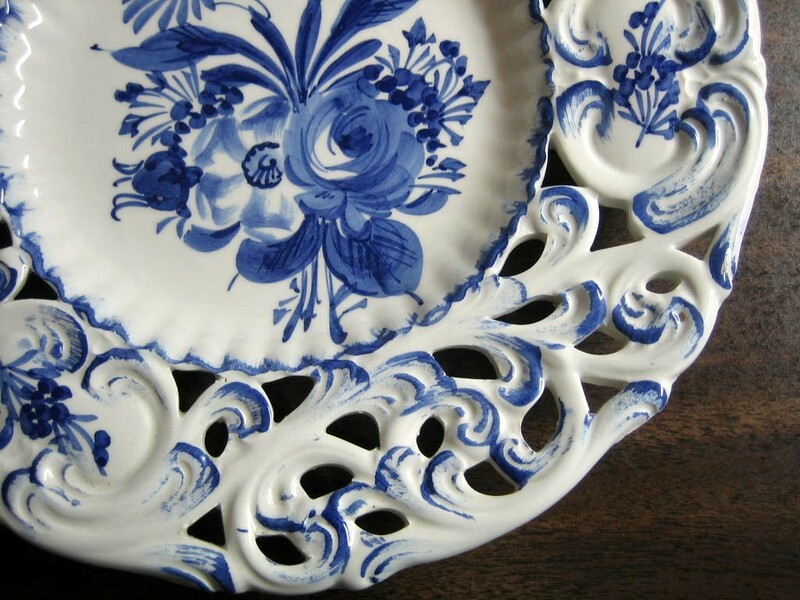 Gorgeous blue rose and daisy design hand painted on white-white pierced plate. Vintage hand crafted--has pops in the glaze on the flowers.